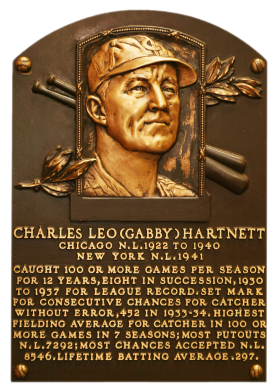 From 1922 through 1940, Hartnett was likely the NL's best catcher. 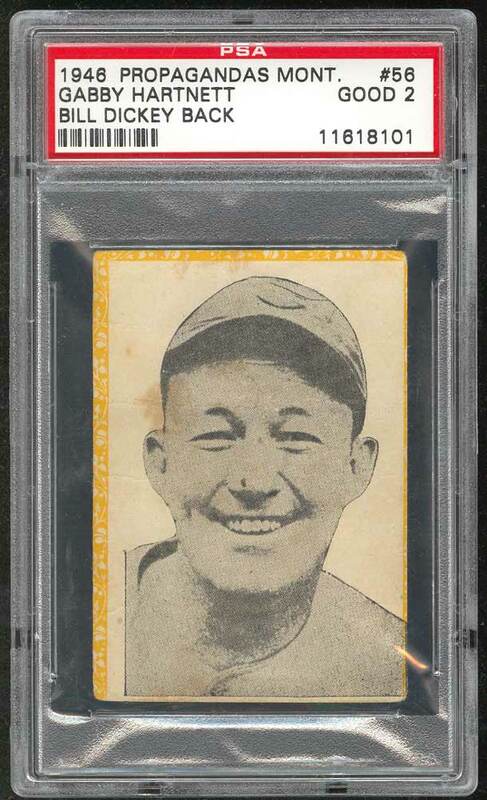 A fine defensive backstop, his best season was 1930, when he hit .339 with 37 home runs and 122 RBI. Hartnett was chosen as an All-Star player from 1933 through 1938. In the 1934 game, he was the catcher when Ruth, Gehrig, Foxx, Simmons, and Cronin were put away in order. He hit .344 as the NL MVP in 1935. 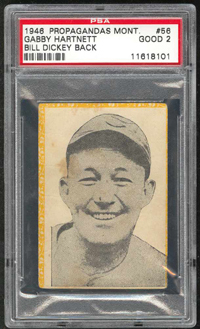 His late-season ninth-inning "homer in the gloaming" against Pittsburgh won the 1938 pennant for the Cubs. He had a .297 career batting average, with 236 homers and 1,179 RBI. 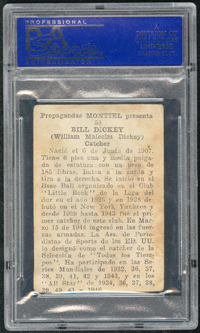 Comments: This card was purchased off of Brian Cataquet's website in October, 2003 and later graded by PSA. I have never seen a better example but continue to look. Description: These 2.1" by 3.1" Cuban cards are made of a thin paper stock, and are usually found pasted in a colorful album. They come with a yellow or orange design border, and are frequently found slightly miscut. The set is made up of Boxers, Cuban Baseball Stars of the past and present, former Big League Greats, current Big Leaguers, a few Wrestlers, along with players from 5 teams of the Class B Florida International League. 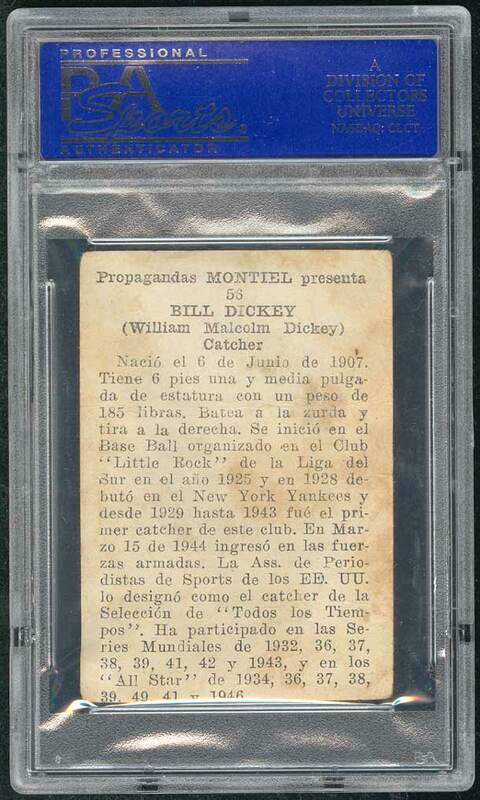 These cards like all other cards from Cuba are often found with insect holes and or humidity damage making nice examples tough to find. There are 180 numbered cards in the set with a few variations.